The Apple iOS is designed in such a way that all applications with the push facility should request the Apple APNS servers for a token that identifies the device. The application requesting APNS token will be jammed in unlocked iPhone models. So they usually not support push notifications. Unlocked models have less battery life and produce more heat than the officially activated models. Many people who unlocked their iPhone 3G and 3G S with the recent Redsn0w 0.9.6 b5 and Ultrasnow 1.2 were reported to have these problems. Thanks to Sam Bingner, from bingner.com. He developed a Cydia repository called SAM that can officially activate iPhone 3G and 3G S on iOS 4.2.1 without the original SIM card or hactivation. The iPhone-dev team released a new Redsn0w 0.9.6b6 to make it easy for the users to deploy and test the SAM features. So when you use SAM and Redsn0w 0.9.6 b6, you can officially unlock and activate your iPhone 3G or iPhone 3G S and get the push notification working and improve battery life. First jailbreak iPhone 3G or 3GS (iOS 4.2.1) with Redsn0w 0.9.6b6. Open Cydia from your jailbroken iPhone 3G or iPhone 3G S.
Now add a new Cydia repository URL as http://repo.bingner.com and save. Go back and from manage section, click on Binger. Now install SAM and SAMPrefs from the sources list. 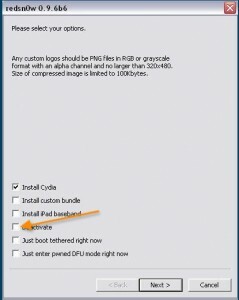 Open Redsn0w 0.9.6 b6 again and in the second step, use the deactivate option as shown above. Go to the settings>SAM and click deactivate. Connect your iPhone 3G or 3G S to iTunes and activate it. We will get a a better battery life and push notifications working as the process is not a hactivation. It just does not work !!!!!!! Damn ………. it doesn`t work at all no way i dont know how u guys activated this way? if any other possibal way let me know. ipad baseband does work . thanks anyway keep hacking mac. is it only on ios 4.2.1? if i jailbreaked my ipod that is on 4.0.1 and my baseband is 5.15.04 can i use this guide ? 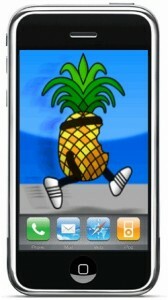 jailbreak iphone 4.2.1 new bootrom ??? Hello, I followed everystep and my Iphone 3GS is fully jailbroken and unlocked. But the battery problems remain. After I activate the Iphone through itunes, do I need to reinstall Ultrasnow? redsnow does’nt seem to work for me.. i wanna update e baseband, but everytime it says there’s a fetching error, n that i should check ma internet connection, e thing is ma internet’s good.. so wat could b e problem? hacktivate doesn’t work at all!! I have a 3GS on firmware 4.2.1 and I’ve tried many different ways with redsn0w to hacktivate the phone and it doesn’t work at all, simple as that. hi, i have used this and can confirm to you guys that this one works!!! thank you sam! what i did : i have an unlocked iphone but having the NO SERVICE issue. went to cydia and downloaded THE SAM. followed everything from up there. still having no signal. what i did was (Iphone still plugged in synced with itunes) I DID THE RESET network setting. then BOOM! it became unlocked iphone. thanks SAM. just sharing my experience hope it helps people. Hi, I have a iPhone 3G. I am facing a problem here.While running Redsn0w 0.9.6b6 on Windows 7 (program set to XP comatibility mode). I am not able to put my iPHone into DFU mode. I know in this timing is very important but I’ve tried approx 50 times from today morning but still was not able to get it into DFU. Can you please guide how should I proceed.